It's the deepest fear of anyone who digs riding powder. A wildly terrifying scenario that exists someone out there in the dark realm of chance. It's a nightmare. But, for Travis Rice, it became a reality. 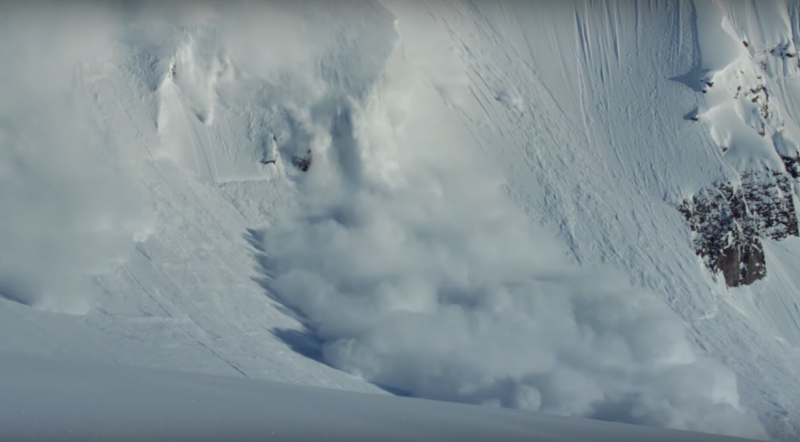 While filming for The Fourth Phase in the backcountry of Alaska, Travis got caught in an avalanche. He was executing his line to perfection when the slab of snow beneath him started spidering and suddenly turned into a stampede of misty white horses. He was absorbed by the avalanche's power. It threw him off a cliff. He could've died. Some folks would've died. But somehow, Travis lived to tell the tale — which is exactly what he does in this video. Hit play and pay attention to the takeaway: if you ride powder, take an avalanche course. It's that simple. For more info, our boy Bryan Fox breaks it down here.